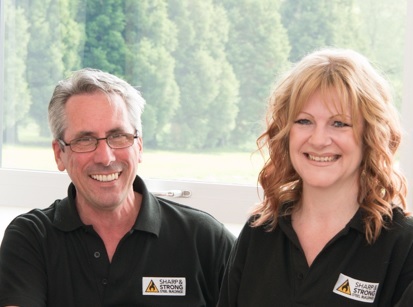 A family owned business dedicated to ensuring your steel building is fit for purpose. Why choose Sharp and Strong ? 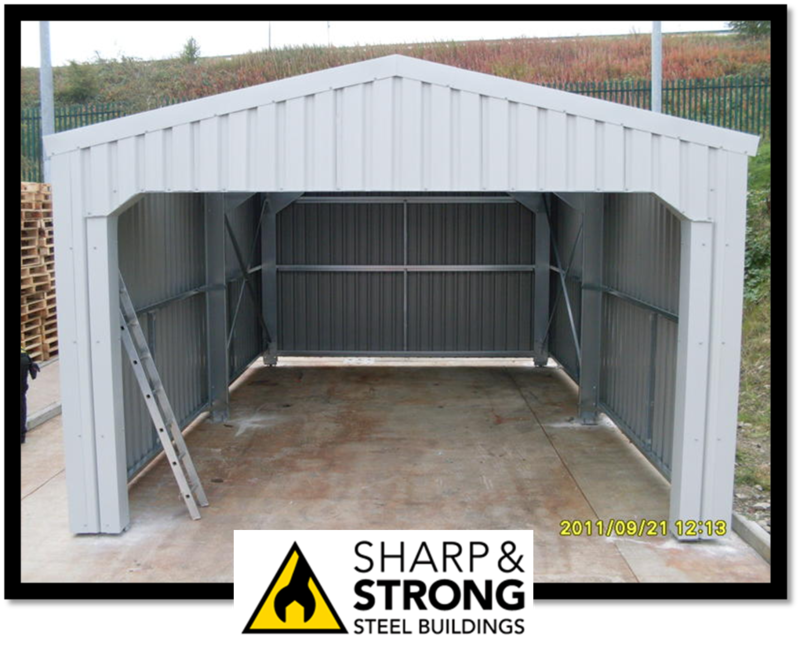 Sharp and Strong offer quality steel buildings with a 25 year warranty. 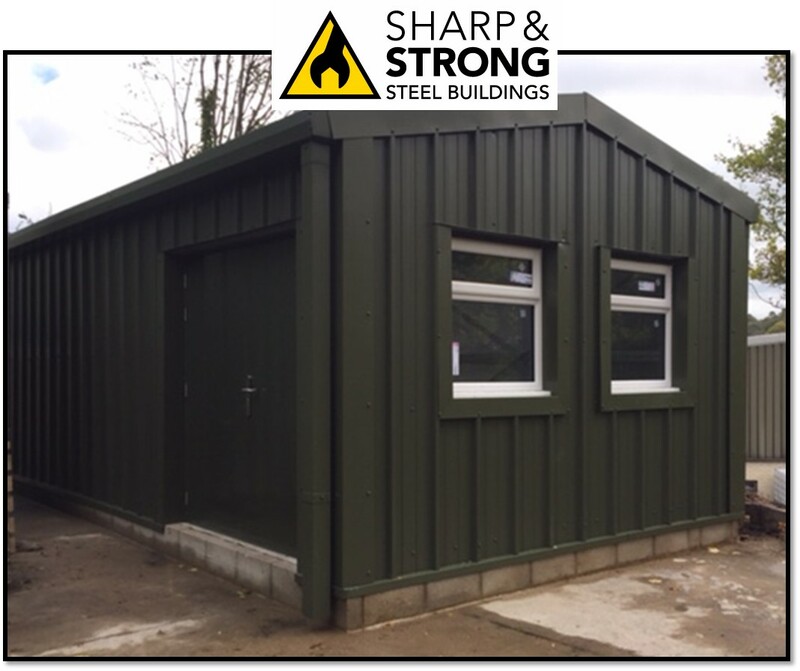 You can have your new steel building on site within 4-5 weeks. 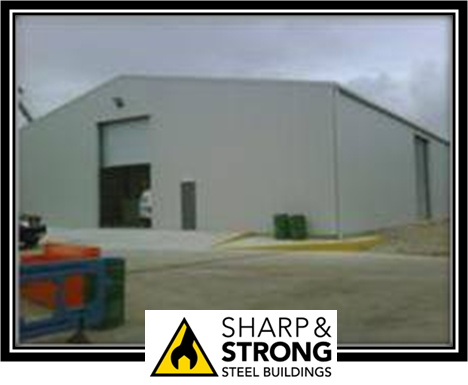 As a leading supplier of steel buildings, we are known for being sharp on price and strong on quality and service! 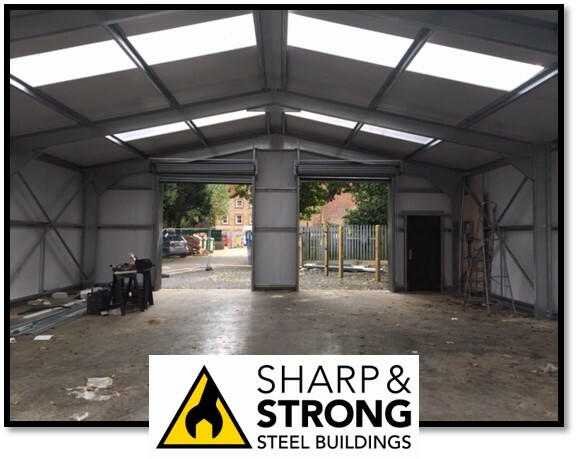 Therefore, being one of the few steel building suppliers in the UK to be accredited with ISO 9001 you can be sure that Sharp and Strong we will provide a quality assured service. Firmly established, our family owned business takes care of all affiliated construction services. 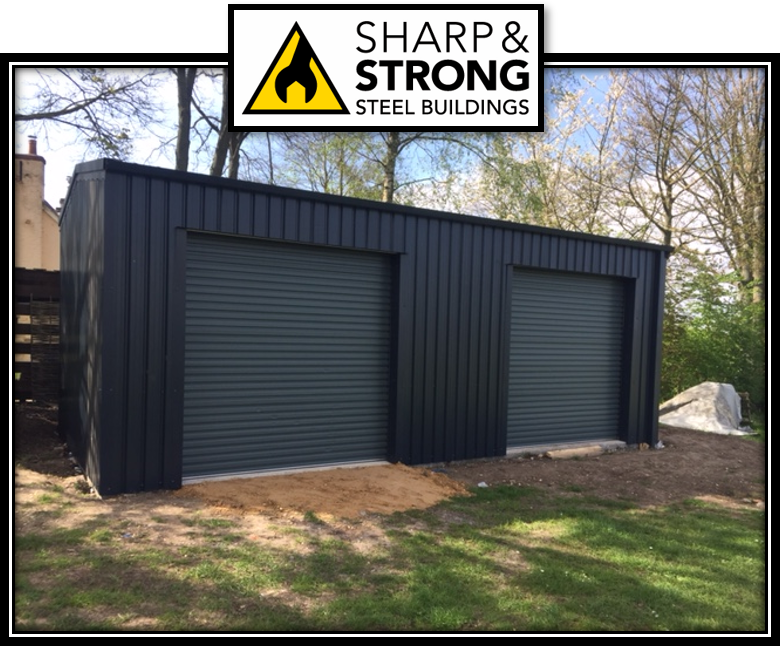 We also pride ourselves on providing a dedicated service and as a result, your new steel building will be built fit for purpose. 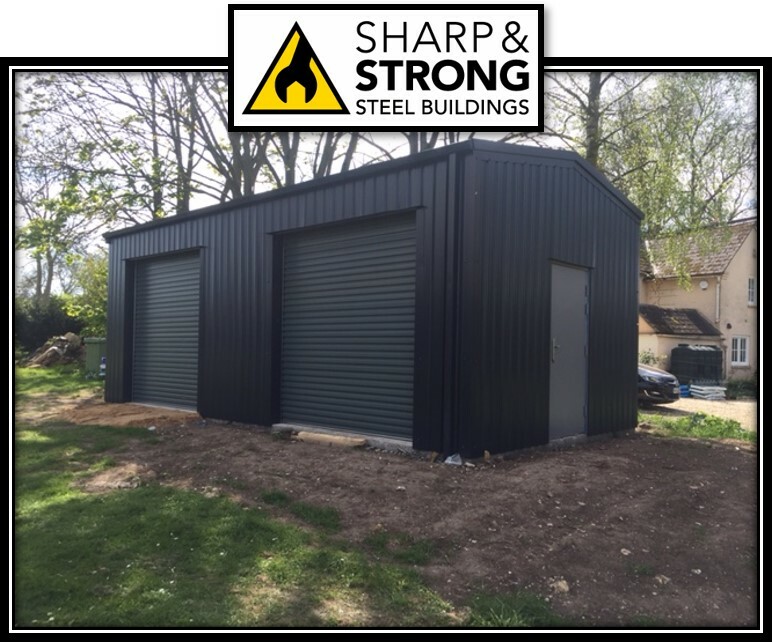 Should you require any additional services to complement your new steel building including Planning & Building Regulation Approval, Design, Groundwork’s and Internal Work’s we are here to assist. So, let our experience guide your project to a successful and hassle-free conclusion. 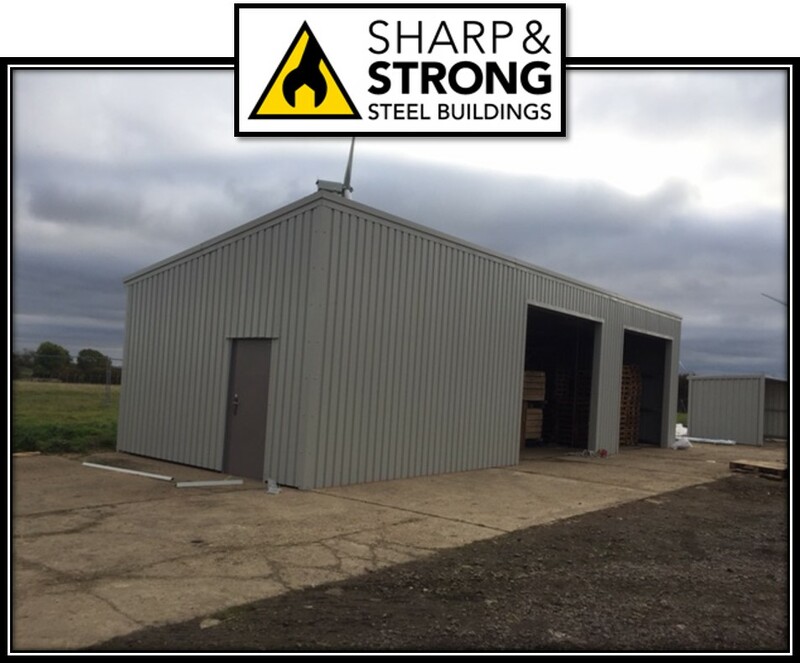 Sharp and Strong Ltd are specialists in the supply and construction of steel buildings from small storage spaces, commercial and industrial buildings and warehouses to large agricultural buildings and even aircraft storage. 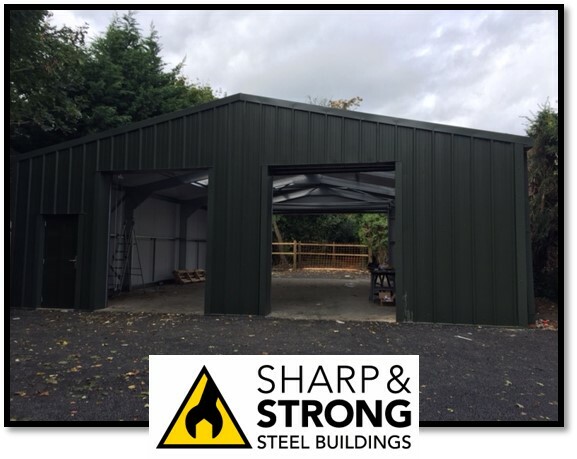 Furthermore we have supplied steel garages, steel warehouses, steel industrial units, steel storage units, steel sheds, steel riding arenas/stables, steel workshops and steel MOT stations. 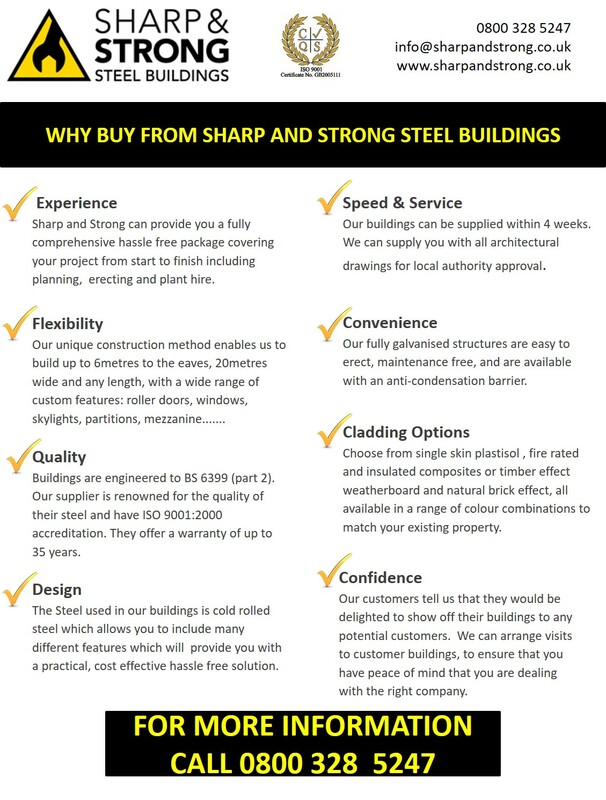 Here are some facts about our quality steel buildings that will answer the question, why choose Sharp and Strong? In conclusion, why not take a look at what our clients say about us, then if you have any questions please call us on 0800 328 5247.